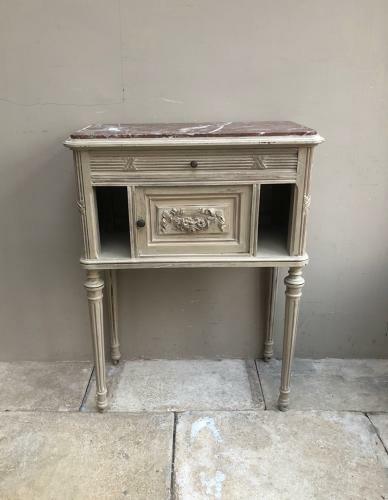 Very pretty Victorian Side Table with Inset Original Marble Top. No cracks or damage to the marble at all. Central cupboard which is porcelain lined (originally this would have been by a bed and the potty put in this cupboard)..sections either side for storage, books etc. Pretty reeded legs and panelled sides and in lovely strudy condition. No worm. Later painted as I bought it.